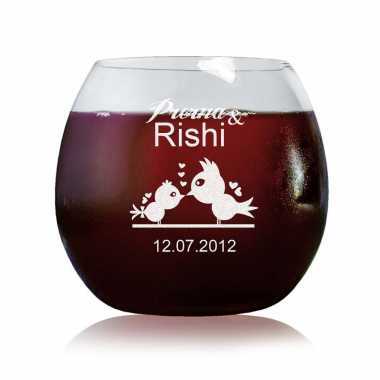 Customize this wine glass with your favorite love quotes and your names which are beautifully etched on the surface. The sleek designs and smooth finishing of the customized wine glass make this gift item worth having for a special occasion. This is a set of 2 wine glasses. The glasses will be personalized as per the details provided by you. The product photo that you see, is a sample to indicate the 'design part' and the 'part that you can customize' . You can replace the sample initials, names or dates with your own desired text, and the glasses will have the design / style along with your personalized texts. The actual look of the product may vary slightly from the displayed product photo, however the engraving quality is quite good and the glasses are branded. Modification in the design: In case you do not want the shown template, or would like to change it a bit, it is possible. You could just email your request (as a reply to the order confirmation email) after you place the order. If its a minor change like 'using a particular font', our team would do it for you. If its a major one, like 'adding a new clipart', you need to send us the artwork to be engraved. For modified designs, we would share the final design with you, before we proceed with engraving, to avoid any surprises. These glasses are bubble wrapped and packaged in cardboard boxes for extra safety. Packaging is strong enough to prevent any breakage or damage during transit. 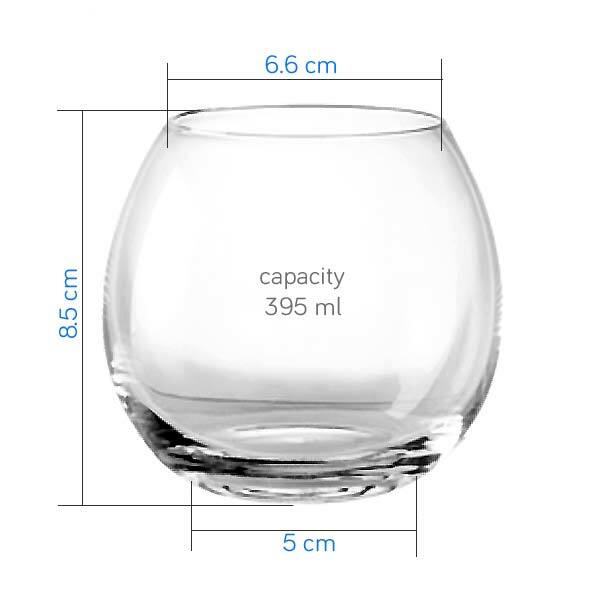 We ship these glasses via Bluedart courier service, and the shipment could be tracked online with ease. If you receive a damaged or broken product, we would immediately send you a new one within 4-5 days of complaint. 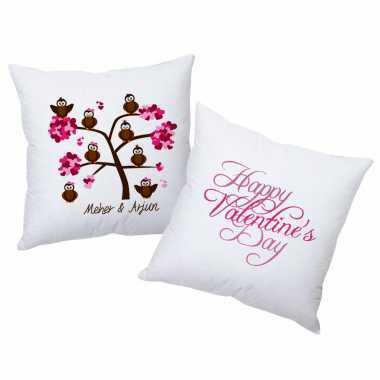 If there has been some mistake in the customized details, we would send you another set with correct details. However if everything is right from our end, we cannot accept return, as the products are customized. Have you always dreamt of a furnished bar-counter at home? Then how about checking out the Ocean store? Well the company which specializes in assorted glassware items has come up with excellent solutions, both for your kitchen and bar. Be it about throwing a cocktail party or just enjoying delicious snacks over a cup of evening tea, Ocean will let you delve into the manifold ideas in glassware. Besides, featuring immaculate finish, the high class glass items will startle you with not just one but hundreds of classy designs that have been inspired from contemporary patterns. Apart from modernistic craftsmanship you may even like to explore traditional designs. Ocean Glass has been crafting international standard glassware. With huge confidence the company has indulged into innovation, resulting in absolutely high quality crockery and glasses that are popular in both local and international markets. The extensive range of high quality glassware has been particularly designed to promise every home, immaculate designs and world class quality. Don’t be a miss out!! Instead try Ocean glassware that is exclusive and beautiful. Q. Can I see the preview of the artwork which would be engraved on the glass, as its a gift to someone, and I want it to be perfect? A. Yes. While placing the order, you have the option to send a message about the order. You can mention there - 'I need a review of the artwork for the glass'. Our team will get back to you with the artwork, and on your approval, we would proceed with the engraving. Q. How do I send my customization details? A. In this product page, you can see the option of 'customize your product' below the section of 'add to cart'. There you can update your customization details and save it before adding the product to cart. In case you missed it or unable to add, you can proceed and place the order. Our team will get back to you, asking about the customization details over email. In case you are not sure what to write in the customization fields, you can leave it blank and place the order. We have a team who looks at your details, and then create the artwork for you. Its not an automatic process, so you need not worry about it much. We would take care of it. Q. Can I change the design a bit, or can I engrave my own design entirely? A. In case you do no want the shown template, or would like to change it a bit, it is possible. You could just email your request (as a reply to the order confirmation email) after you place the order. If its a minor change like 'using a particular font', our team would do it for you. If its a major one, like 'adding a new clipart', you need to send us the artwork to be engraved. For modified designs, we would share the final design with you, before we proceed with engraving, to avoid any surprises. Q. If I order today, when would I get the product? A. It generally takes 6-7 working days. Yes, its a personalized product, we need to check the customization details, make the artwork, get it engraved on glass, and then ship it to you. Sundays and public holidays doesn't count as working days. Q. Can I have different things engraved on the two different glasses, rather than same design? A. Yes. This is possible. Once you place the order, you can mention the details you would like on each glasses individually, and we would do that for you. Its not cumpulsory that both the glasses should have same design. You can get separate designs for both the glasses. Q. I have seen an engraved design on internet, can you do the same kind of design for me? A. If its a simple textual design, then yes. If its an artwork, then you need to send us the art file, which can be used for engraving directly. We won't be creating a personalized template for you, unless its just text with some particular font. Any designs, logos, etc has to be provided by you.